Ramen ramen everywhere, especially along Robson and over there. We have good, bad and fakes, why oh why, are people in Vancouver so baked? Wait, scratch the last comment, that has nothing to do with food... or does it? 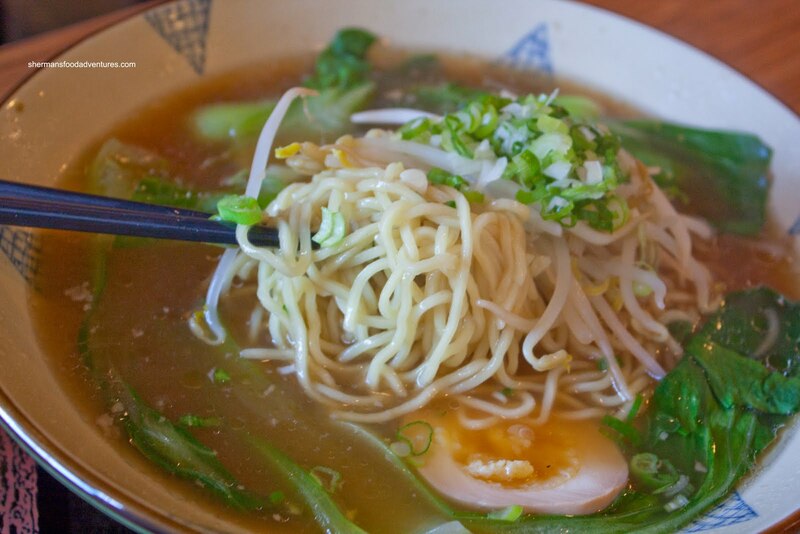 Anyways, for some reason or another, Ramen fever has taken over Vancouver in the past couple of years and it doesn't seem to be slowing down. Take Benkei for instance. It grew from one location to 4 in one year. 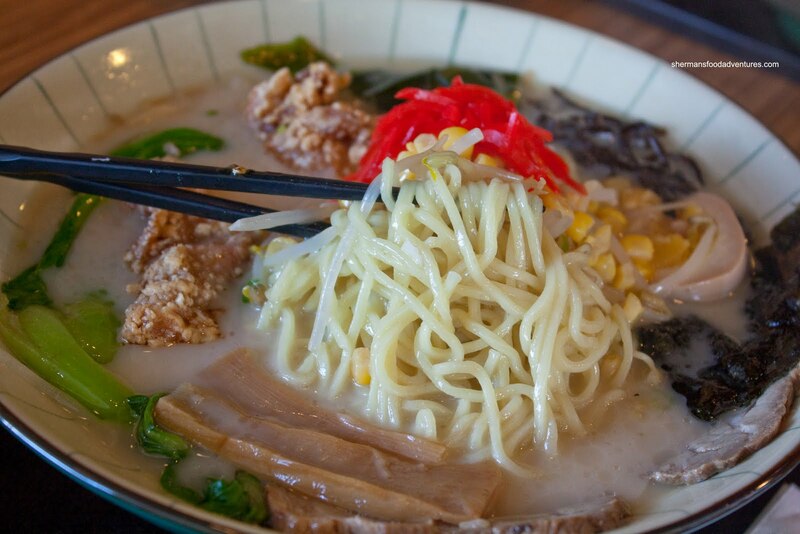 It is true most of the best ramen joints reside along the Robson corridor; however, we are increasingly seeming a trend of ramen shops far way from t he epicentre. Places like Menya, Q Go, G-Men, Takano and Kawawa are either in Vancouver or the burbs. Now a relatively new place has opened up next to its next door sushi neighbour. 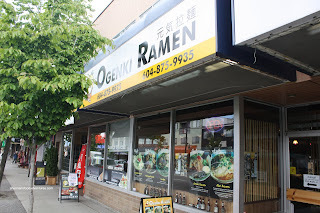 Ogenki Ramen boasts a Japanese chef who has been at the business for over 20 years. However, the place is clearly not Japanese-owned. This was quite evident when I tried ordering a Chashu Rice and the server did not know what that was. She actually had to go to the kitchen to ask! Okay, with the authenticity of the place out of the way, Uncle Willy and I got down to ordering some grub. 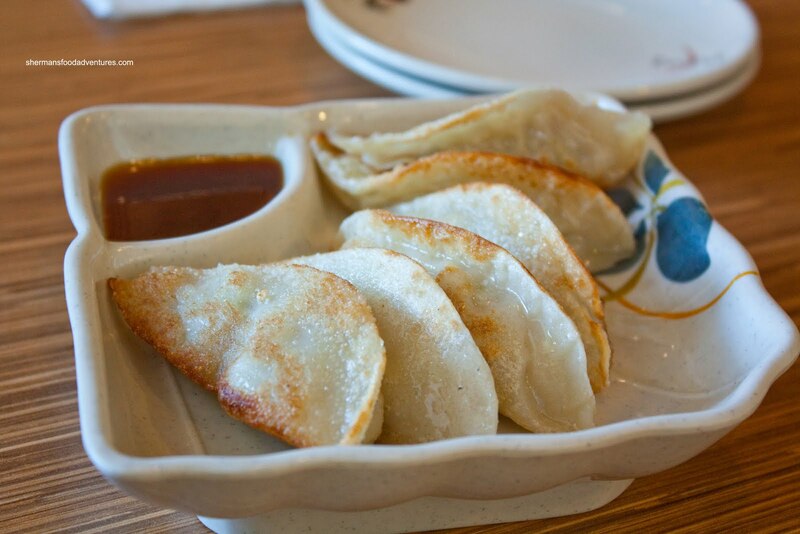 We started with the Gyoza which was a sign of things to come... They seemed to have almost "deep-fried" the darn things because it was browned in places where it shouldn't have been. The result was a very greasy dumpling that was not even all the crispy on the bottom. Furthermore the filling was skimpy and one-note in flavour. 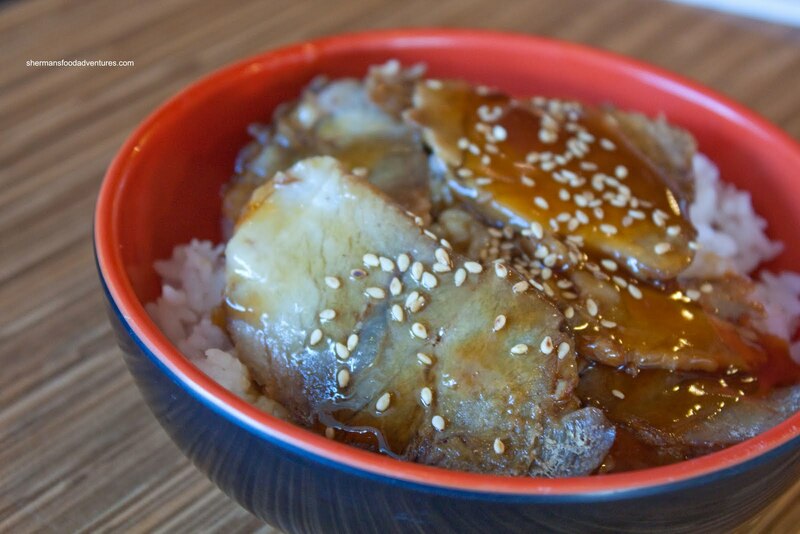 Remember the Chashu Rice? Well, the server eventually figured out what it was and I probably wished she hadn't. The rice itself wasn't bad per se being chewy while moist. However, the chashu was not right. The edges looked like it h ad "microwave-damage". It was hard, discoloured and dry. So very wrong. Furthermore, the sauce was a very sweet teriyaki which didn't go with the rice nor meat. Uncle Willy had selected the Karaage Miso Ramen with the karaage served on the side. I must admit that this was pretty good. The meat was very moist, juicy and flavourful while the exterior was crisp. However, the darn things were greasier than Luongo's hair. It could've been good; but ultimately the grease was a turn-off. As for the ramen itself, it was actually not bad. I would say it was a touch past al dente. The miso broth was not really all that flavourful. We found it lacking depth. But in the end, it wasn't horrible either. The egg a bit strange though. It was a cross between a Taiwanese tea egg and an Ajitama egg. Not bad actually. Just strange. What was even stranger was that my noodles in the Genki Ramen (in Tonkotsu broth) was actually perfectly al dente. And actually, the tonkotsu broth was acceptable. I wouldn't say it had an incredible amount of depth; but it did exhibit a level of silkiness. It wasn't particularly bursting with flavour; yet it wasn't bland either. 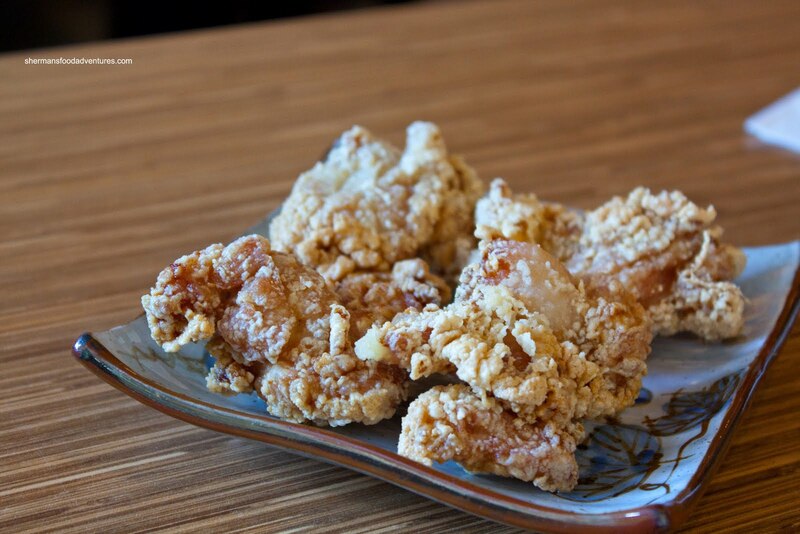 I'm not sure why they dumped the karaage into my bowl and not Uncle Willy's. It became waterlogged and unappetizing. The chashu was slightly better than the one I had in the rice because it was not damaged by the microwave. Too bad it didn't particularly taste like anything. There is an option to choose fattier meat though. With everything taken into consideration, the food at Ogenki Ramen is mediocre at best. Uncle Willy summed it up best, "it's okay for Main Street, but certainly not compared to the big boys in Downtown". I tried their ramen a few weeks ago. The karaage one. Very meh, wouldn't order the noodles again. But service was mostly alright and the rest of their food on par with all the average sushi joints in town. Our family fave in that immediate vicinity up to this point is still Dream Sushi a block away. Kids seem to love that place.